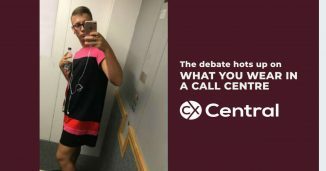 The call centre dress code policy is typically one of the biggest frustrations for employees and for many workplaces, its as simple as whether the policy is defined as corporate or casual clothes. For a call centre or office environment where there is no physical interaction with a customer, is there really a need for corporate attire? For some of the older generation there is certainly a strong belief that “casual clothes equals casual attitude” but does that really apply in the modern era? 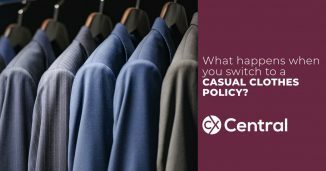 Put simply, recent data would suggest that organisations that have a casual clothes policy have the highest level of staff engagement. Even the ‘stuffy’ world of corporate accounting is changing their attitude with J.P. Morgan (the largest US Bank by assets) breaking with tradition in 2016 by allowing staff to wear ‘business casual’ attire. And that’s where things get interesting! How do you define ‘business casual’ clothing? We’ve all heard stories of staff who wear next to little clothing, thongs, moccasins etc through to singlets, shorts etc. Is that OK and is there a different set of rules for males and females? One of the simplest ways to avoid awkward situations for staff and management is to be clear on your expectations and the consequences of not complying. The best way to avoid awkward situations is to be clear on your expectations and where possible, provide examples and details on any ‘grey’ areas. Acceptable attire can be defined as casual button shirts, open collar/polo shirts, skirts, untorn jeans, casual-style dress, and tailored shorts with appropriate footwear. It’s also OK to be clear of times when business-casual is not appropriate. For example, when representing the company in dealings with clients or corporate obligations either on or off the premises, appropriate business attire might need to be worn. This may include suits, ties, skirts, blouses, tailored trousers or other appropriate clothing. Try to provide guidance on what is unacceptable the simplest way of avoiding conflict. You should be clear on your rights as an employer to commence the disciplinary procedure if an employee is wearing the inappropriate clothing or footwear. Typically the disciplinary process allows for an informal warning in the first instance, with more serious consequences if breaches continue. Is Body Art/Tattoos/Nose rings/face jewellery OK? According to a survey back in 2012, one in seven Australians have a tattoo and in my observations, I would suggest this figure is even higher in recent years. So is it OK to have your tattoos visible in the workplace? And what about nose rings and face jewellery? The Australian Human Rights Commission says employers are allowed to set rules regarding workplace appearance but stressed it’s important to ensure that any proposed rules do not amount to discrimination. For example, say an employer refuses to hire any workers with visible tattoos, even for roles that involve no customer contact. If a Maori job applicant who had a tattoo for reasons connected to his ethnic origin was not hired because of his tattoo, this could count as racial discrimination. So, in short, it’s really up to an employer to decide what’s appropriate for their business as long as it’s not discriminatory. We all love a good theme day and this is often when some of the boundaries are really tested. No one wants to ruin a good theme day with the ‘policy police’ however its critical that again you are clear on your expectations on these days to avoid any issues. 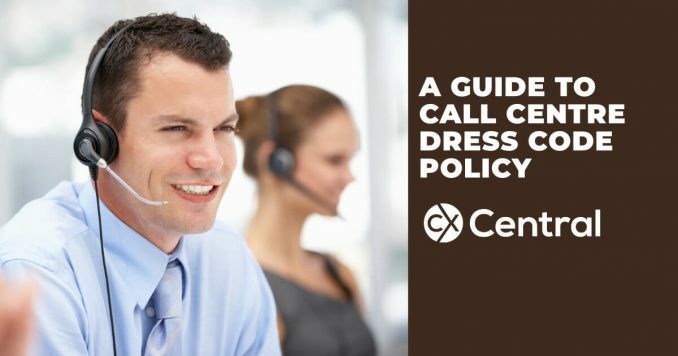 In applying a dress code policy regard you must still be aware of the Equal Opportunity laws and whether applying this policy strictly will result in a breach of these laws. Physical features or bodily characteristics do not cover aspects of a persons appearance over which the person has control or which were voluntarily acquired. A persons dress and appearance can be an important mode of expression of personal, cultural or religious identity. This needs to be balanced with an employers right to accurately assess the requirements of his or her industry, client base and business needs. Having been around the traps for a while, there is always the odd individual that likes to push the boundaries. Being clear on expectations, ensuring everyone is aware of them and applying the policy consistently (often where most companies fail) should avoid most situations. And should an employee deviate from this policy for medical reasons, you are within your rights to request a medical certificate outlining the reasons for non-adherence. With employee engagement a critical component to any successful organisation, weigh up the real needs for your business and take the time to provide some clear guidelines on your expectations to staff and it will make life easier for everyone!